In 2009 the first human case of MRSA-infection by mink was registered in Denmark. Since 2011, twenty-four more cases have been identified, creating fears that the drug-resistant bacteria, normally transferred through pigs, are now also easily transferred from mink to people. 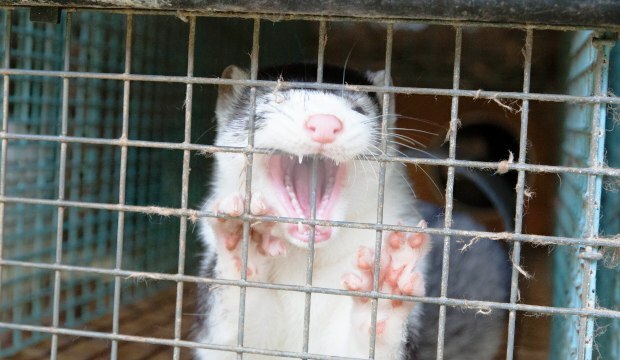 Captive mink in Denmark being bred for their fur creates fear for spreading MRSA to people. Kopenhagen Fur have identified 26 visiting farms where people can see the production of mink. No one knows if the animals are infected with MRSA. Automatical feeding car for mink farms. Antibiotics are spread directly to all animals from the red trunk. Chairman of the Danish Agriculture and Food Council, Martin Merrild, produces chicken and mink. According to the Danish lifestock register he has 14.000 mink. Multi-drug resistant bacteria is now spread in half of all Danish mink. Here a view of a typically Danish Mink Factory. The spread of MRSA in Danish mink can be related to the use of offal from slaughterhouses as mink fodder. The waste contains lungs and intestines which is carriers of MRSA in pigs. Humans infected with MRSA, Methicillin-resistant Staphylococcus aureus, can cause serious outbreaks on the skin, respiratory tract and the urinary tract. Infections with the bacteria, resistant to antibiotics and therefore very difficult to fight, can last for years. The symptoms of infection depend on the part of the body infected. Skin infections may result in redness, warmth, swelling, painful lesions (sores), boils and blisters. Persons can have the bacteria in their lungs and then have symptoms of a respiratory illness: fever, cough, shortness of breath, fatigue. Infections can also occur in surgical wounds, burns, catheter sites, and in the blood. Sometimes persons may be a carrier of MRSA. This means it is living in their body without causing them to be sick. Out of the total of 25 infected people, 18 had direct contact with mink, the other seven being family or household, says Dr. Robert Leo Skov from Statens Serum Institut (SSI). 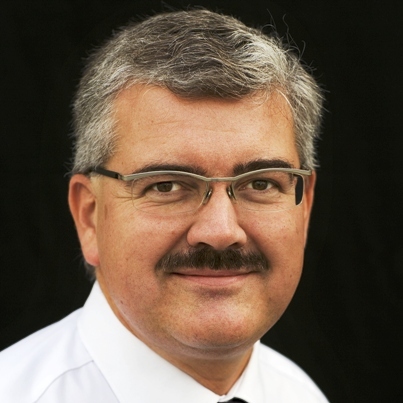 Robert Skov is area manager for Bacteriological Surveillance and Infection Control and has been responsible for the Danish MRSA strategy in recent years. It is Skov who collects the nationwide statistics. However, the infection pattern is neither randomly nor evenly distributed throughout the country. The number of infected workers at the mink producing factories reflects the abundance of infected animals as the bacteria jumps from animal to humans. Most of the cases reported to health authorities thus far have been in Northern Jutland, where the density of mink breeding factories is high. 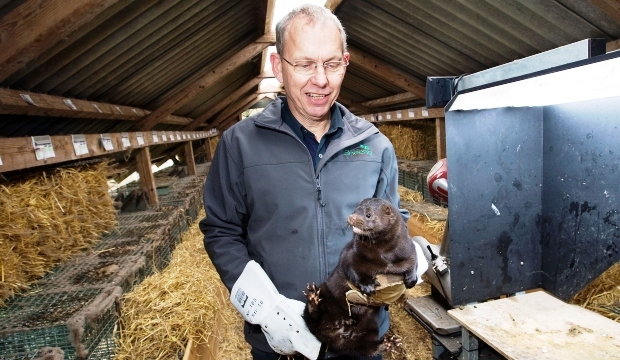 The answer to an access request to the authorities in Region Nord (Northern part of Jutland), signed by hygiene consultant Henrik Calum, shows that 15 out of the 25 known cases where minks are suspected of being the source of infection originated from Region Nord. According to Henrik Calum in 2011 the health authorities identified four disease-carrying individuals with direct contact with mink, two of them with outbreaks. In 2012, they found six people, including four with direct contact to mink and two from one household. Two had outbreaks of the infection, and in 2013 until mid-October they have found another five infectious individuals with direct mink contact, including four with infections in outbreaks. Robert Skov confirms this distribution and indicates that there are six cases of infection in Region Midtjylland, three in Region Syd and one from Region Sjælland. Yet there is no one from the last region in Denmark, Hovedstaden, which corresponds to the nearly total absense of mink factories in the region with the capital Copenhagen. The predominance of patients in Northern Jutland is probably also related to the eagerness of authorities here being particularly assiduous in tracing the infection. In that case, the 25 cases in Denmark would only be the tip of the iceberg. Most mink factories are situated in Region Midtjylland, and it could therefore be expected to see more MRSA-cases on humans infected by mink in this region. 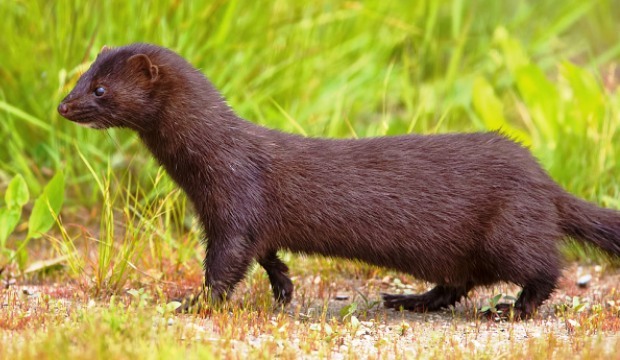 Counted by number of mink, 41,3 percent of mink production in Denmark takes place in Region Midtjylland, while 30,4 percent is in Region Nord, according to an extraction of all data from the database of all livestock in Denmark. This extraction, carried out in August 2013, shows the total number of animals at the time to be 15.2 million. Of these 6.3 million mink are in Region Midtjylland. Over the past 10 years the Danish mink industry tripled the consumption of tetracycline, colistin and penicillin. As a consequence resistant E. coli bacteria and Methicillin-resistant Staphylococcus aureus are found in mink, and ordinary antibiotics no longer work when people get these infections from mink. The use of antibiotics in Danish mink factories are now so widespread that probably half of the animals carry several multidrug-resistant bacteria, according to a 2008 study in which samples were taken from 631 dead mink from 185 different factories. E. coli bacteria in mink have especially developed resistance to drugs such as ampicillin, sulfamethoxazole, tetracycline, streptomycin and trimethoprim, while staphylococci in particular were unreceptive to colistin, tetracycline, streptomycin and penicillin. The spread of MRSA in Danish mink can be related to the use of offal from slaughterhouses as mink fodder. The waste contains lungs and intestines known to be heavy carriers of MRSA in pigs. This could be the source of infection. In an environment where no microbiotics are used, these bacteria can normally be defeated, but because of heavy use of drugs normal bacteria don’t survive, which makes it easier for MRSA to live for a long time in mink. There is no listing on which of the 1,600 Danish mink factories registered in livestock records are harboring MRSA. Neither the owners of the factories nor their association Kopenhagen Fur or the Danish authorities are in possession of these vital data. The 26 visiting mink farms in Denmark. Mink farmers’ interest group Kopenhagen Fur denies that there is a specific problem. The organisation maintains that families with children can visit the 26 specially designated “guest farms”, where the public is welcomed on showtours on a modern mink factory, without any concern. Investigative Reporting Denmark has surveyed all 26 guest factories by email, asking if they have any knowledge of MRSA in their own premises. The assumption beforehand was that owners probably do not know whether their animals are carriers, or their employees, or they themselves are infected with MRSA bacteria. Among the 26 factory owners only two responded directly to the inquiry before the Communications Director at Kopenhagen Fur, Sander Jacobsen, took over the answer. One of the two independent responses received directly from the factories stated that they were completely unaware of the problem. The other was just an email statement that they do not answer mails from strangers. Since August 2000, the Danish food authorities have built up a central register of consumption of antimicrobials for livestock, the so-called Vetstat Register. Moreover Statens Serum Institut and two institutes at the Technical University jointly publish an annual report DANMAP that presents an overview of the use of antibiotics for all purposes, veterinary as well as human. The overall goal for VetStat is to minimise consumption and maximise the use of antibiotics in Danish livestock. Vetstat code is unique globally. So far it has only been used as a basis for information campaigns and focusing of educational counseling of food producers and fur farmers. In Vetstat’s 13 years long incubation period, consumption of veterinary antibiotics in both mink and pigs increased dramatically. 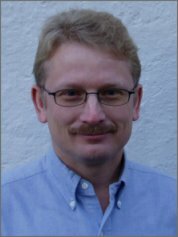 A leading researcher in human disease treatment, Professor Hans Jørn Kolmos from Department of Clinical Microbiology, Odense University Hospital, warns in still stronger terms against the spread of the resistant staphylococci, especially from pig industry. ”We see a picture of an epidemic that is out of control. Authorities have done remarkably little and seems at all levels perplexed. The Food Administration (Fødevarestyrelsen) have now, seven years after the problem was documented, still no overview of the epidemic, and it has done nothing to halt the spread of infection out among the herds. 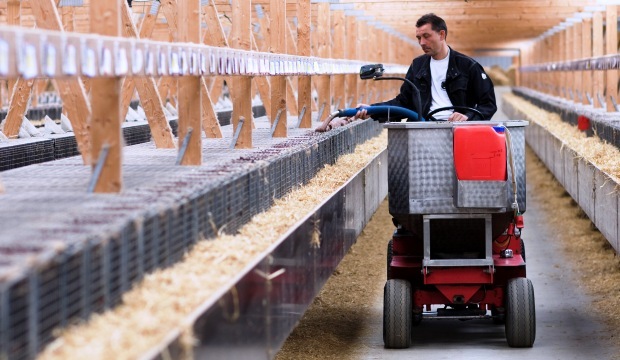 Danish Health and Medicines Authority (Sundhedsstyrelsen) has prepared information to employees in pig production and also focused on protecting the hospitals. In the future, patients with contact to living pigs be screened for MRSA upon admission and, if necessary, be isolated. This is reasonable, but the process shows it is unfortunately not sufficient. Danish Working Environment Authority (Arbejdstilsynet), which has the responsibility to ensure the staff at pig farms, cannot target their work, because they do not get information from the Food Administration and the Health Protection Agency on the discovery of MRSA. On the other hand, The Food Administration in confidence pass that information only to the industry. According to Kolmos there are currently two million infected pigs in Denmark, while every one out of 10 packages of Danish produced pork contains MRSA bacteria. There are some reasons to believe that MRSA infection in mink industry will follow a similar epidemic course, if there is a further increase in antibiotic consumption. As minks are fed with offal from the slaughterhouses of the infected pig industry there is reason to suspect a pig-mink-human chain of ongoing recontamination with the dreaded MRSA-bacteria. Abroad the growing resistance problems are the cause of great concern. The emergence of new types of MRSA bacteria has created quite outspoken concern among health authorities in the United States and the UK. In early March 2013 described the director of the American Center for Disease Control (CDC), Dr. Thomas Frieden, the new antibiotic resistance as a ”nightmare”. 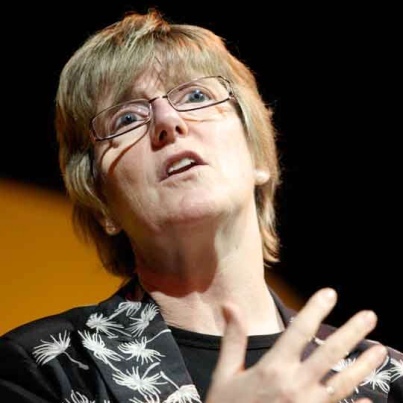 A few days later the British Professor Sally Davies, Chief Medical Officer, published a report in which she called resistance problems for a catastrophic threat that poses a national security on a par with terrorism. In a few years organ transplants, cancer chemotherapy, joint replacements and even smaller surgeries will be life-threatening because there will no longer be effective antibiotics to lean on. And lately, in September 2013, the Centers for Disease Control in US sent out a further warning in the report: Antibiotic Resistance Threats in the United States, 2013. Here they conclude, that every year, more than two million people in the United States get infections that cannot be cured with antibiotics. At least 23,000 people die as a result. The 3rd ASM-ESCMID Conference on MRSA in Animals will take place 4th to 7th of November 2013 in Copenhagen.